National Mortgage Alliance has one of March's best nationally available deals on a 15-year, fixed-rate home loan. It's charging 3.0% with no points and $1,600 in fees for a conventaional loan. That's exactly what this lender was charging last spring, even though the average cost of a 15-year home loan is about a half-point higher than it was in March 2013. The current deal from National Mortgage Alliance is also well below the current national average of 3.48% for 15-year loans. We think you'll have a tough time finding a better loan. But there's no harm in trying. Click here to compare this deal with the best mortgage rates from hundreds of local and national lenders in our extensive database. These shorter-term loans are particularly popular with borrowers out to refinance their homes and save tens of thousands of dollars in interest by paying off their loans more quickly. See how much interest you'd save by paying off your home loan early using our 15-year vs. 30-year mortgage comparison calculator. The major drawback to shorter loans is that the monthly payments are higher. For this mortgage, the principal and interest payment would be $691 a month for every $100,000. It will also provide a month-by-month amortization schedule that shows how much you've reduced your debt and how much you still owe if you want to pay off the loan. 7 ways to dress up a home for a faster sale If you ignore the basics of staging and presentation, your home will languish on the market long after similar properties have been snapped up by eager buyers. Investing a little money and elbow grease now can have you moving out sooner rather than later. Here’s what the experts say you’ve got to do to make your home more attractive to shoppers. National Mortgage Alliance (www.nationalmortgagealliance.com) is an online lender and a division of the Georgia Banking Co., which has branches in Atlanta and Griffin, Ga.
Georgia Banking Co. is licensed to write loans in all 50 states and the District of Columbia. 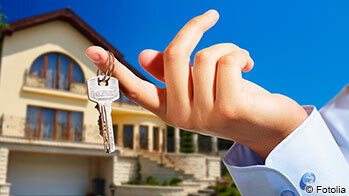 National Mortgage Alliance is licensed in the 48 continental states and the District of Columbia. Be applying for a loan of less than $417,000. 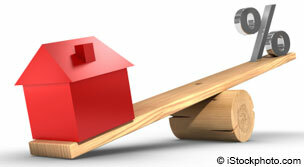 Have a 20% down payment if you are buying a home. 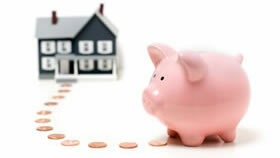 Have 20% equity in your home if you are refinancing. 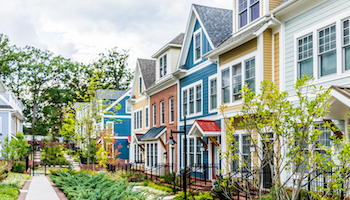 Although mortgage rates have defied all predictions and drifted lower since January, most experts still expect them to rise later in the year. That's because the Federal Reserve is ending its campaign to drive long-term interest rates — including mortgage rates — to record lows. The nation's bank-for-banks began buying $85 billion worth of debt a month in September 2012, a fairly even split between Treasury bills and bonds backed by thousands of home loans. By flooding the mortgage market with money, it pushed the cost of home loans to record lows in an attempt to boost real estate sales and property values battered by the recession. In a process the Fed refers to as tapering, it reduced those purchases to $75 billion in January, $65 billion in February and March. When the bank's rate-setting committee met this week, it voted to lower the purchases to $55 billion in April. At that rate, it appears the Fed's bond-buying campaign will wrap-up sometime this fall — unless we're confronted with some new economic catastrophe. Bottom line: We're probably enjoying the lowest rates of the year right now. Keep that in mind as you make your home-buying or refinancing plans. Follow Interest.com on Twitter and Facebook. Mitch Strohm on Google Plus. Should you lend your kids money to buy a home?